Fr Daniel O’Leary, who died on 21st January, said he wanted to point out that one of the fall-outs of a mandatory celibate life is "the violence it does to a priest’s humanity, and the wounds that it leaves on his ministry”. Well-known spiritual writer and priest Fr Daniel O’Leary questioned the value of compulsory clerical celibacy, in the last article he wrote before his death. Fr Daniel O’Leary died on 21st January. He had been ill with cancer since June last year. 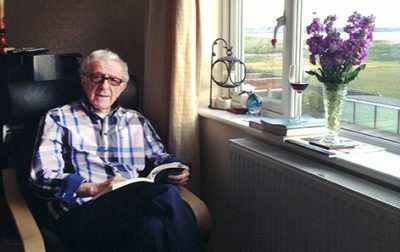 In a piece published posthumously in the international Catholic weekly, The Tablet, Fr O’Leary said that as he was dying he wanted to be “free of fear and bitterness, and full of love and desire, as I step up for the final inspection”. Admitting he had to be careful in what he wrote, he nevertheless stated, “I now believe, with all my heart, that compulsory celibacy is a kind of sin, an assault against God’s will and nature. The priest acknowledged that there would be those who would call him a traitor to the cause for his position. While some priests hang on to their authentic, essential selves, many do not, he said. Fr O’Leary described clericalism as “a collective malaise”. A priest of the Diocese of Leeds, Fr O’Leary was born in 1937, in Rathmore, Co. Kerry, and trained to be a priest at All Hallows College, Dublin. He worked in parishes for almost 30 years as a curate and later as a parish priest. For another 20 years he taught theology and religious education at St Mary’s University College in London, and became chair of its religious studies department, before being appointed Episcopal Vicar for Christian Formation in Leeds until 2000. Fr O’Leary held Masters degrees in theology, spirituality and religious education. An award-winning author of 12 books, he was a regular contributor to The Tablet, The Furrow and other publications. He also gave conferences and retreats. However, last week Pope Francis appeared to rule out any change in the discipline of mandatory clerical celibacy on his flight back from Panama where he attended World Youth Day. The Pontiff told reporters that he did not think optional celibacy for priests in the Latin-rite church was a good idea. However, he did say “there could be some possibility” of ordaining married men in very remote locations where there are Catholic communities that seldom have Mass because there are no priests. But he stressed that even in that scenario much study would need to be done first.